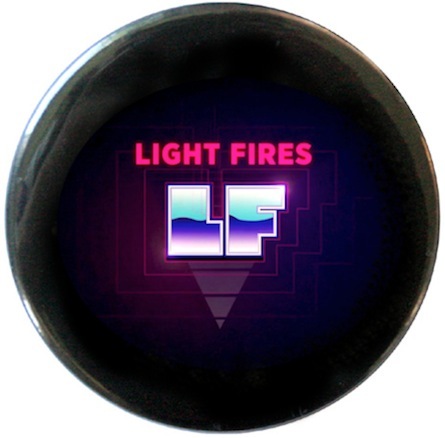 Canadian electro disco duo Light Fires is a new project spearheaded by Regina (indie rock singer Gentleman Reg’s glammed-up alter ego) and James Bunton (of OhBijou fame). The pair’s debut single “Ten Feet Tall” was self-released as digital download and 7″ white vinyl in July, featuring B-side “If You’re Bored” and digital-only bonus “If We Got Along Ever”. “Ten Feet Tall” has been picking up momentum in the past couple of weeks with the recent release of a new remix by Toronto-based producer Jeremy Glenn. This pumped-up disco reinterpretation is a dark and haunting piece of dancefloor-friendly goodness. Surrender to its steady beat and ghostly synths! The remix is available as a free download on Jeremy Glenn’s SoundCloud and the song is backed by a superbly kitsch video directed by Colin Medley and Jared Raab.